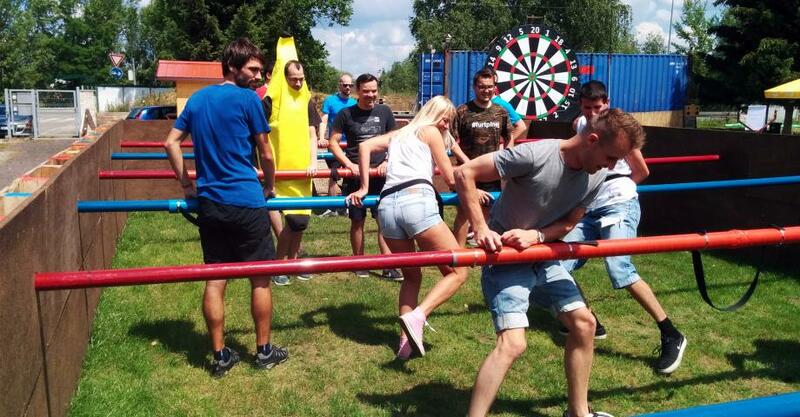 Get into a higher league of table football and try out human table football. Hold on tight and remember: Spinning is permitted. Looking for fun activities to unwind? 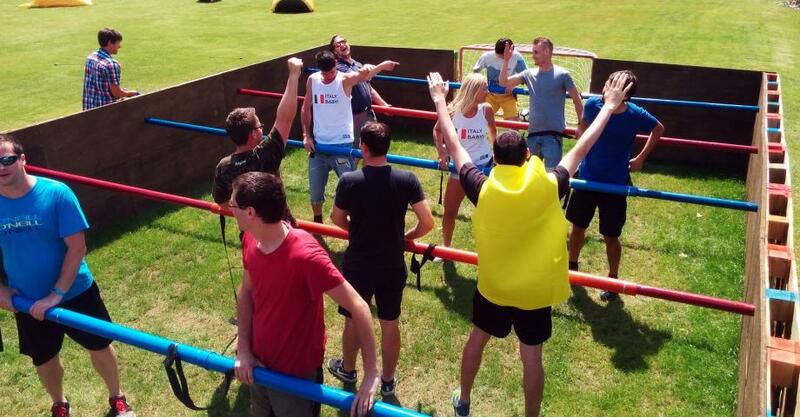 Human table football is one of the things to do in Prague you will definitely remember. It’s hilarious. This crazy version of classical table football is a great party activity for at least 6 people. And if there is a bride/groom to be in your party or a birthday boy or a girl we’ll provide a special costume. There is a professional referee waiting for you as well with a glass of chilled Czech beer after the game. 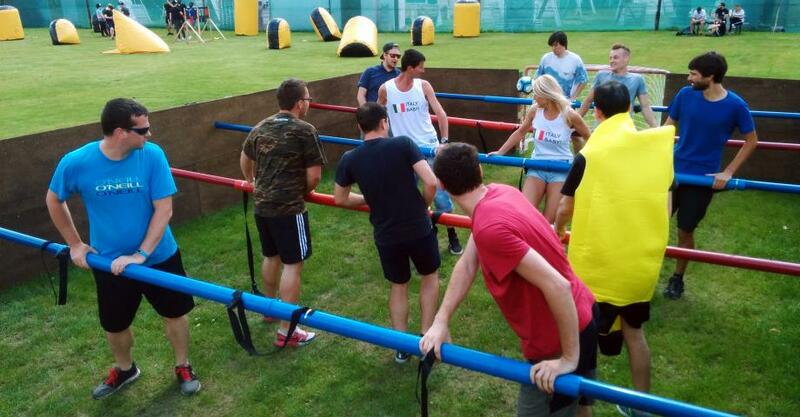 The human table football is played in a big, 10 meters long arena. After arrival, the experienced instructor shows you how to tie yourselves to the bars and what positions you should take in the field. Then he takes the role of a referee. For stag parties, funny costumes (piggy, rabbit, minion, Pokemon Pikachu) for the Bachelor are available for free. Price includes: a referee, cold beer, photos. 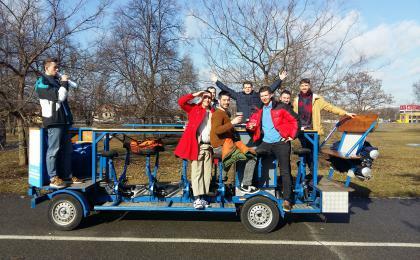 The human table football can be played in any weather (even in the snow) - depends on the toughness of the players. 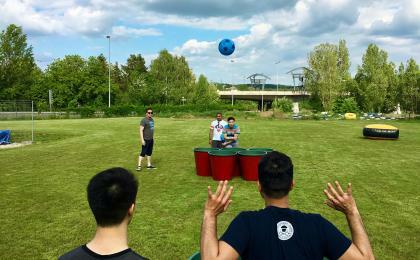 You can add another activity to your program in the action park (archery tag, paintball, giant beer pong, football darts, binocular football or bodyzorbing and bubble football). You can also order 200 g chicken/pork BBQ with local draft beer, bread, sauce, and vegetable. Price: 169 CZK / person. 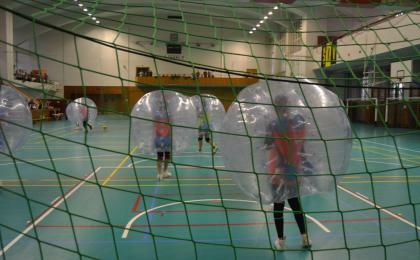 The activity is designed for a group of 6 persons. Minimal age is 12 years. It is recommended to wear comfortable sports clothing and sturdy shoes. Take a spare T-shirt to change. Other equipment will be loaned.